Introduction & Rules for this Series. The Absolute Sufficiency of God’s Word (Cont’). 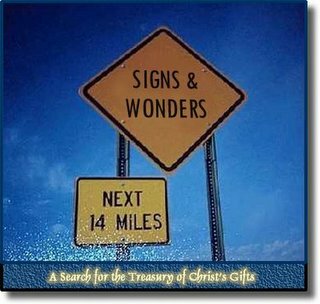 Hebrews 2:1-4: 2:1 For this reason we must pay much closer attention to what we have heard, lest we drift away from it. 2 For if the word spoken through angels proved unalterable, and every transgression and disobedience received a just recompense, 3 how shall we escape if we neglect so great a salvation? 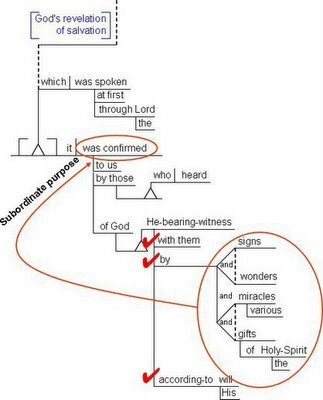 which was at the first spoken through the Lord, it was confirmed to us by those who heard, 4 God also bearing witness with them, both by signs and wonders and by various miracles and by gifts of the Holy Spirit according to His own will. To disclose God’s glory and power to this world of men, without exception (Psalm 19:1-2, Romans 1:20). To render a clear confirmation of His divine revelation (Joel 2:30-32, Luke 21:25-26). To disclose His glory for all eternity (Revelation 15:1-4). Peter clearly wanted the church to comprehend that the Word of God is indeed sure - so much so that we must use it as our lamp shining in the darkness. The Lord’s prophetic revelation, already having been confirmed, is our immutable and undiminished source of light throughout life. Greek verbs contain a great deal of important information. Sometimes they can be so involved that four or more English words are required in order to represent just one Greek verb. In our case, only two English words are employed to represent ebebaiothe. In most cases English translators have to use what are called auxillary and notional verbs in order to represent these robust Greek verbs. The notional verb contains the central verbal idea, whereas auxillary verbs clarify some additional details that often relate to the tense, voice and mood of the verb itself. In our case the Aorist passive verb [ebebaiothe] is related through the auxillary word was and the notional verb confirmed. The word “was” reminds us of two things - this verb is passive and it is indicative: passivity means that God’s word received the action of confirmation and that it is indicative means that this confirmation was not some mere potentiality or possibility - it really happened. The notional verb “confirmed” speaks of completed action, and as in this case this represents the simple concept of the aorist verb. The fact that it is both aorist and indicative indicates past time with reference to the time of speaking. We could put it this way - God has already demonstrated, through His apostolic messengers, that His Word is sure. His public confirmation of His own message and His messengers has in fact been completed. The instrumental means by which this was accomplished (God bearing witness with His Apostles through the signs and wonders that He worked through them) subordinately served this ultimate work of God - ebebaiothe - the confirmation of His revelation. Let’s back up for a moment and remember one of the key objectives of the book of Hebrews - This letter was written to a community of Jews, many of whom were believers (Heb. 6:9), while others were false brethren (Hebrews 6:1-8). Those who professed Christ suffered severly for it (Hebrews 10-11) and therefore needed to be reminded of the true hope of Christ whose supremacy over all things is indeed the grounds of our joy and confidence (Hebrews 6:9-20). Therefore, to premise his message of hope to this despairing community, the author of Hebrews prefaced his entire letter on this subject: the perfection and completeness of God’s revelation concerning His son (Hebrews 1-3). It is a revelation that is sure; it is a revelation that has been given in many portions and in many ways throughout the generations (Hebrews 1:1); it is a revelation that is consummately revealed through the exalted Son Himself (Hebrews 1:2-14) and it is a revelation that was delivered through His apostles, having already been firmly established (confirmed) as God’s complete, sufficient and immutable revelation to men, without repentance, for God cannot lie. This is indeed a hopeful message - His word is sure - it has in fact been confirmed. When we consider Hebrews 2 today, we too must be challenged to a greater hope as were the struggling Christians of the 1st century - and this is why: The very sure word that was entrusted to that generation is no less sure today - In a sense we must confess that the Apostles speak to us today indeed - not through flesh and blood, but through ink and paper, through the record of God’s Word. Ultimately, our Chief Apostle, the Lord Jesus Christ (Hebrews 3:1), speaks directly to us today. His authority, as communicated through the apostles and prophets of that generation, communicates to us today with just as much power and authority as if He were here with us today in flesh and blood. The surety of God’s Word is no quaint doctrine - this is a truth that is foundational to our hope in Christ. Therefore, in our pursuit of truth - we must seek out God’s confirmed Scriptures as we ultimately pursue the person of Christ Himself. He is our chief end, and we can hear from Him with confidence, knowing that the very Scriptures that He left us, through His servants, are sufficient, complete and all that we need for life and godliness through the knowledge of Him.